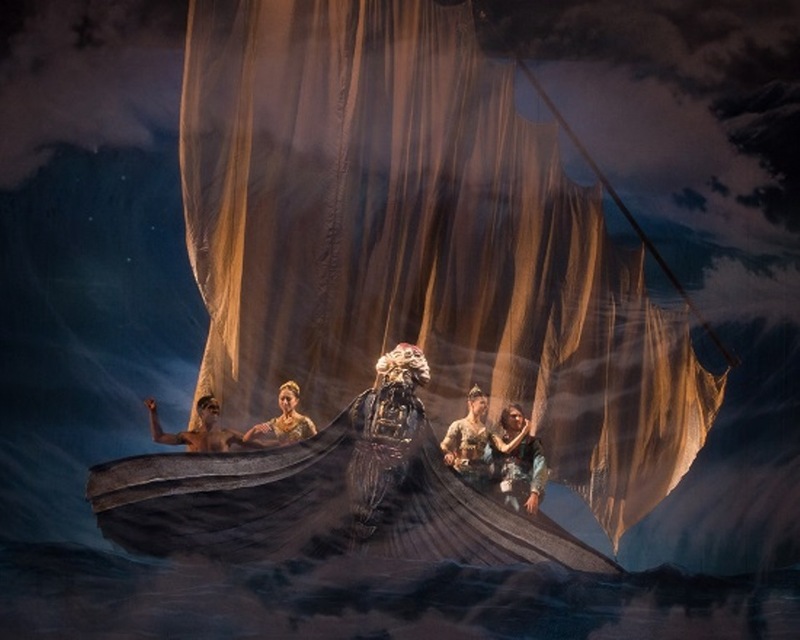 Last month, we announced a teaser challenge set by English National Ballet and inspired by the tragic shipwreck that features at the end of their upcoming ballet Le Corsaire. We asked Young Poets Networkers to come up with lines and phrases of poetry about the sea, and these quotations were featured in our celebrations for National Poetry Day 2013 (as this year’s theme was water). From your entries we created this phrase-board full of incredible, evocative imagery. English National Ballet and Young Poets Network are looking for young writers to take inspiration from the ballet Le Corsaire, and submit a poem driven by the epic love story between Medora and Conrad. For inspiration, this stunning video shows you extracts from the ballet featuring the blossoming love of Conrad and Medora, which culminates in a tragic shipwreck in the final act. The heightened language of love in Lord Byron’s poem The Corsair is mirrored in the emotive music and expressive movement vocabulary of English National Ballet’s Le Corsaire. This hour we part – my heart foreboded this. Again – again – and oft again – my love! Will you have people in your poem, or will it focus on the emotive theme of love and romance? You could focus on the characters from the ballet, or link the themes to people and places in your own life. This is your chance to inspire us and we can’t wait to see what you write. The lucky winning poet will receive a pair of tickets from English National Ballet to see Le Corsaire in London in January 2014*, and have their poem published on the New Writing section of Young Poets Network as well as English National Ballet’s website and blog. The challenge is now closed, but you can read the amazing winners and be inspired to write your own poem to enter into one of our Poetry Opportunities! Are there any challenges in English National Ballet in which young poets from all over the world can participate? Please let me know asap. Hi Ratika, the English National Ballet challenge is only open to poets based in the UK, but there will be other challenges coming soon which are open to poets from all over the world. Are there any restrictions as to the length of the poem, please? Hey there, just curious; I know the deadline is for the 3rd November 2013, but will you still be accepting entries on the day, or is it closed from 00:01am on 3rd Nov. 2013? Hi Sophie, we will be accepting entries till midnight on Sunday. Good luck! Is there a restriction on the number of poems that can be sent in, please? Is only one allowed, or can you send more? Hi Isabella, sorry this is a bit late – but there is no restriction! Generally for all of our challenges you can send in as many poems as you like. If there is a restriction, we will make it clear. hi, I was wondering if we have to concentrate on Conrad and Medora or if we can also write about Gulnare? Thanks! Hi Olive, sorry this will be a bit late – you can write about Gulnare too. Will we hear back even if we haven’t won? And if so, when can we expect to hear by? Hi Katie, we will be emailing people within the next month or so, to let them know either way.